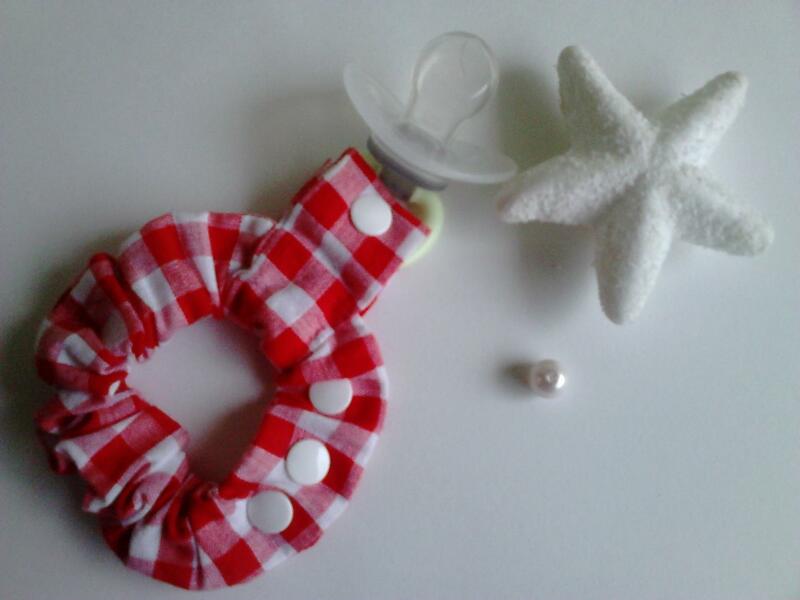 Bracelet in 100% cotton color red gingham for babies from 4 to 20 months.Size adjustable to the handle by knobs kam. Comes with learning guide. Delivered without the pacifier.